By enabling a stronger view into overground and underground assets, the partners say companies can more efficiently plan and manage maintenance needs, service upgrades or other necessary work. Ordnance Survey and Mobileye have teamed-up to deliver high precision road network location data to enable a fully connected digital Britain. The mapping agency says its “world leading” geospatial and technology expertise will be paired with Mobileye’s automotive camera-based mapping capabilities to offer a new, accurate location information service to customers from many markets, including the energy and infrastructure sector. The partners say the data will also support the successful rollout of technologies for new market segments, including 5G, intelligent mobility and connected autonomous vehicles. Part of Intel, Mobileye specialises in the development of computer vision and machine learning, data analysis, localisation and mapping for advanced driver assistance systems and autonomous vehicles. The company says its products are also able to detect roadway markings, identify and read traffic signs, provide mapping for autonomous driving, and more. Using Mobileye’s technology, vehicles will gather large volumes of location data on road networks and roadside infrastructure. The collected data – which includes lamp posts, manhole covers and road markings – is then cross-referenced with existing geospatial datasets, such as Ordnance Survey MasterMap. 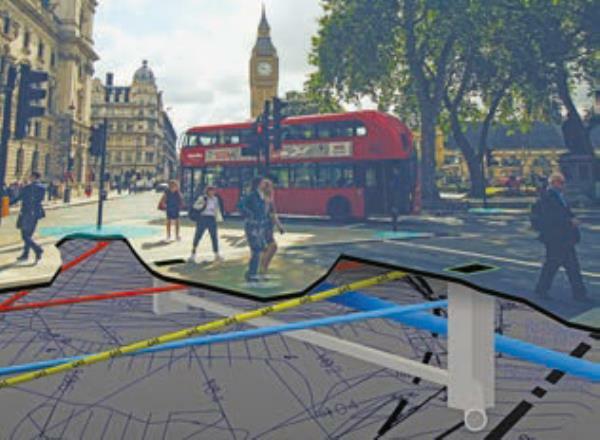 This will then help develop accurate maps of Britain’s roads and surrounding infrastructure with what’s described as “amazing” detail and precision. According to Ordnance Survey CEO Neil Ackroyd, detailed and accurate geospatial data is essential for the success of projects such as 5G, IoT and connected and autonomous vehicles. He believes that new rich data that will be created will be key to how vehicles, infrastructure, people, etc., will communicate in the digital age. For example, it’s claimed utility companies are set to benefit from the data as it will enable them to maintain the precise location of their assets on the ground.